It’s quite a job keeping up with all the girly activities required to ensure optimal and year-round gorgeousness. While a woman’s head hair is her crowning glory, all the rest of the hair on her body is simply in the way. Waxing is great because it lasts for a long time, but the weeks just before you can have next wax, when you can’t reveal your prickly legs at all, are nightmarish. Laser hair removal sounds like a great option for long-lasting hairlessness. But is it all it’s cracked up to be? The laser uses thee pigment in your hair as a guide towards the targeted hair follicle so it can wreak its destructive power on the troublesome growth spot. 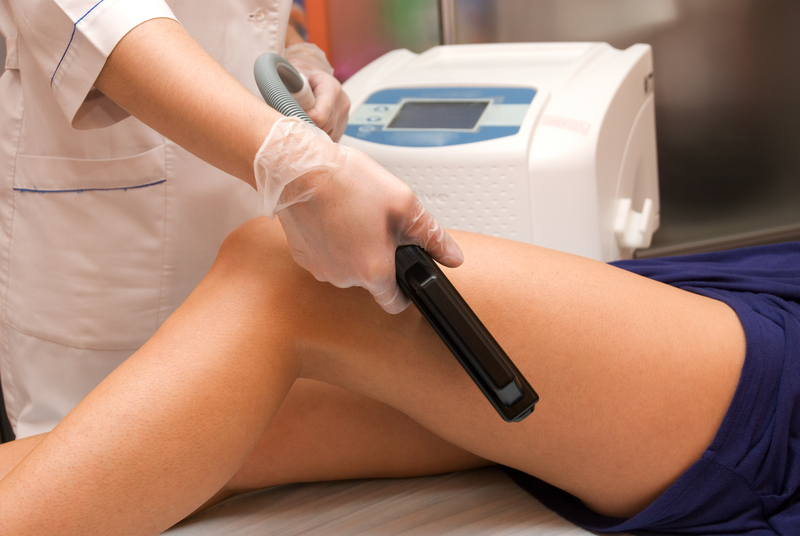 A longer than usual laser pulse is needed in this procedure because there’s a slight defection from the actual hair to the follicle – this is also why it’s so necessary to go to an experienced person for successful permanent hair removal results (although home kits are available for the brave at heart). If the follicle isn’t adequately targeted, then hair removal will only be temporary. The intense heat from the laser damages the hair follicle, which reduces its ability to grow hair. New technology has ensured that what was an obstacle is no longer. In the past, light or grey hair, and people with dark skin and dark hair weren’t always able to undergo successful laser treatment, because laser works by targeting the pigment in your hair – making dark his on light skin the best possible scenario. Although there’s no real evidence that it’s unsafe for pregnant women, laser therapists are advised against doing the procedure on expectant moms. If you’ve recently waxed or had any other hair removal treatment, you’ll need to wait a while for your hair follicles to recover so they can be adequately targeted again. Shaving doesn’t affect the follicle, so you can certainly do that before a session (even the day before). Moles are best avoided during laser therapy as laser effects their colouration and could lead to a potentially life-threatening diagnosis being missed (the specific colouring of moles is important to initial diagnosis of melanomas). If you do have moles or other growths, these should be covered up before treatment begins to avoid him being affected in any way. Once again, new technology has rendered laser therapy almost pain-free. If you’re a little nervous, though, you may be offered a topical anaesthetic to help ease the pain. The procedure does take a while, especially if a large area is being targeted (such as a man’s hairy chest). The most common side effects are swelling, discomfort and redness that last one to three days. Additionally, areas of darkened or lightened skin can appear, as well as blistering, bacterial infections or herpes simplex outbreaks. Any area of your body can be treated with laser hair removal – from legs and underarms to public area and your back. However, you’ll not find a therapist who will agree to thin out your eyebrows because your eye’s retina can be badly damaged by a laser and it’s just too risky to work in such close proximity to your eyes. Areas where you skin is thinner usually respond better to laser treatment (your underarms as opposed to your chin). Don’t expect an overnight change – approximately 10-25% reduction in hair growth can be expected after your first treatment, so be aware that follow-up treatments will be needed, every four to eight weeks. The hair that does regrow tends to be thinner and lighter. It’s essential to avoid exposure to the sun after treatment, and always ensure you wear an effective sunscreen. If you’re tired of the pluck, tweeze, shave and wax routine, give laser hair removal a try – but remember to be patient and follow all the safety rules (such as staying out of the sun for a while) to ensure maximum efficacy and minimal side effects.